Description:New Hall Pottery from the end of Marsh Street North. New Hall Street is coming in on the right. 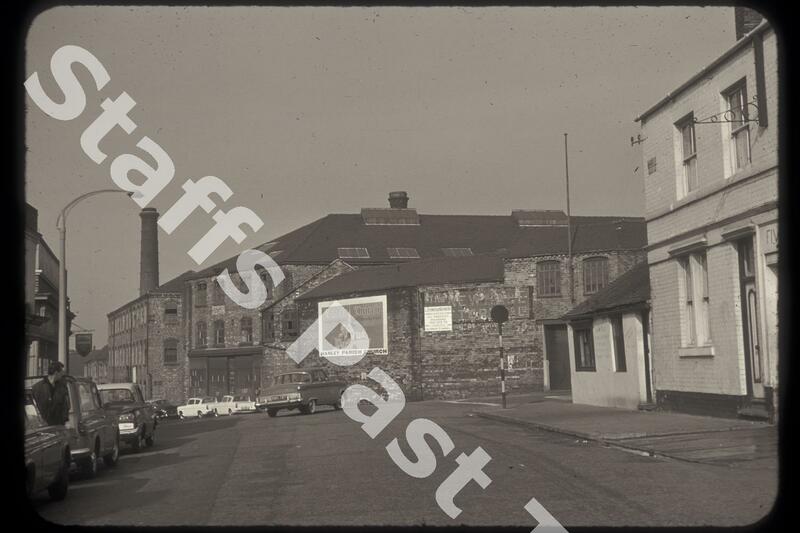 The works was demolished in the mid 1970s to make way for a supermarket development, although the New Hall Pottery Company had ceased production here back in 1954. 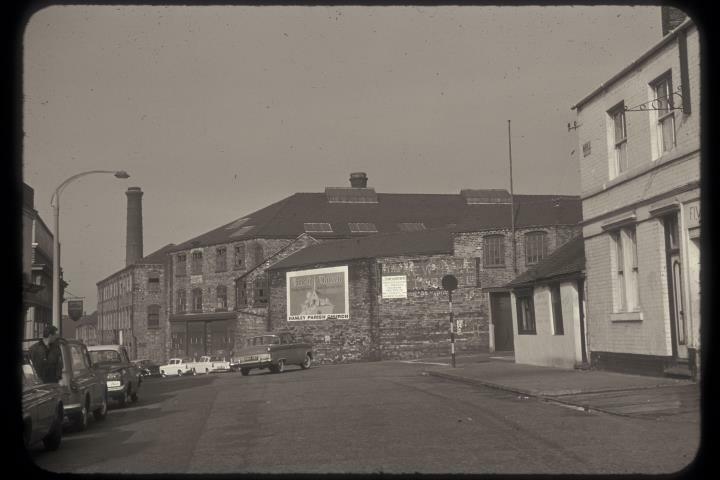 This site is of historic importance in that New Hall Works made ceramic history as the first pottery in Staffordshire to successfully manufacture porcelain in the late 18th Century. This company lasted until about 1835. This New Hall Pottery company dates from 1899, taking over the business of Plant and Gilmore, and became known in 1913 as the "largest manufacturers of cheap toilet sets and jugs in the world". Indeed their telegram address was: "Toilet-Hanley". Most of the surviving works dated from after the First World War.